The Seattle band acknowledges the contributions of current and former drummers, one of whom had complained about being overlooked by the Hall of Fame. 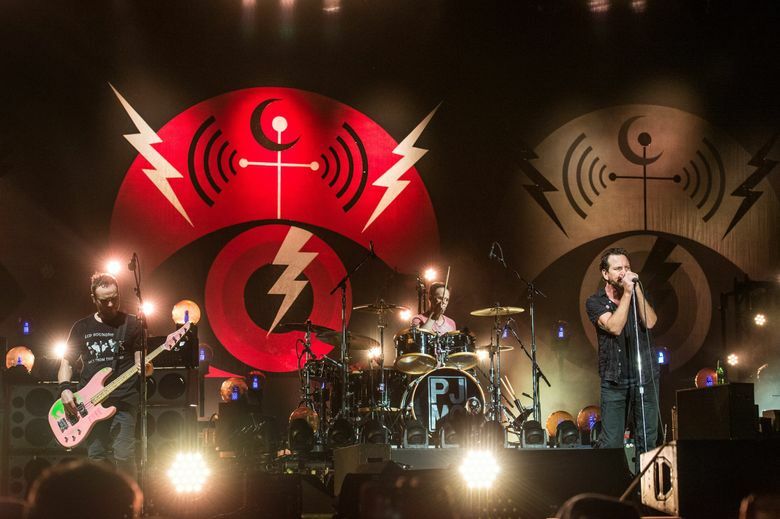 In a nod to the contributions of the many artists who played with Pearl Jam over the years, the Seattle band has invited all five of its drummers, current and former, to be present during the group’s induction to the Rock and Roll Hall of Fame in April. In a letter signed “P J,” the group acknowledged the contributions of all five drummers, including founding member Dave Krusen and current drummer Matt Cameron, who are both being officially inducted into the Hall of Fame. The letter also recognizes the contributions of the three other drummers who played with the band for a time but are not being officially inducted — Dave Abbruzzese, Jack Irons and Matt Chamberlain — and invites them to the ceremony. The band with frontman Eddie Vedder, bassist Jeff Ament and guitarists Stone Gossard and Mike McCready as well as Krusen and Cameron will be inducted into the Hall of Fame in Brooklyn, New York, on April 7. The ceremony will air April 29 on HBO.